June 1 at Waynesburg University, in Waynesburg, Pennsylvania. The conference theme is “Lead, Follow, or Get Out of the Way: Setting Your Pace as a Library Leader.” We encourage proposals on all topics, although priority consideration will be given to those proposals on the conference theme. Proposals will be peer-reviewed. The deadline for proposal submission is April 15, 2012. We look forward to your presentations and papers! The eBUG Conference is scheduled for June 1, 2012 at Somerset Community College in Somerset Kentucky. Proposals are now being accepted for presentations for the 2012 annual conference of the Ex Libris Bluegrass Users Group (eBUG). Presentations are being sought for all Ex Libris products, such as Primo, SFX, Voyager, etc. We highly encourage the submission relating to public services, library instruction, technical services, and systems. All topics should be related to Ex Libris products and presentations should last approximately 45 minutes. Chosen presenters must agree to provide ELUNA and Ex Libris copies of their presentations for posting on their respective websites, if requested. Conference registration fees for presenters of accepted proposals will be waived. The deadline to submit a proposal is March 26, 2012. Notification regarding acceptance of proposals will take place by April 13, 2012. Questions may be directed to the current eBUG officers. and how civic engagement is explored and practiced in feminist classrooms. � What does a �feminist civic engagement� look like? notified whether they have been selected for the special issue by May 1. 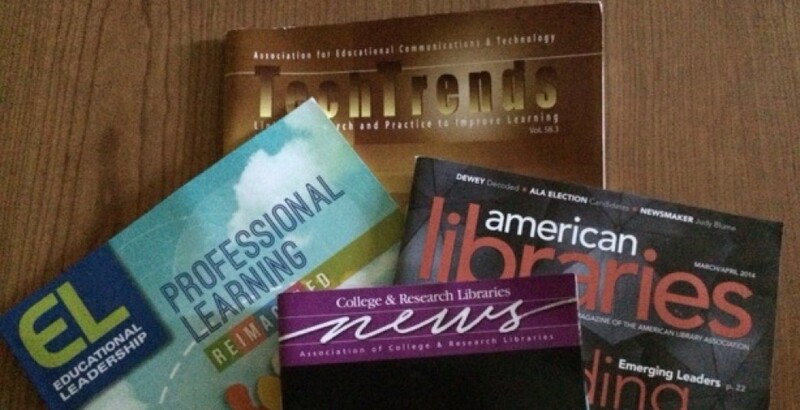 Learning Out Loud: Information Literacy Pedagogy for the Non-Shushing Librarian. The 1st Annual Indiana University Libraries Information Literacy Colloquium seeks engaging, innovative, and energizing proposals related to the conference theme: Learning Out Loud: Information Literacy Pedagogy for the Non-Shushing Librarian. While stereotypical images of the library would have us believe that learning takes place in hushed silence, the truth is that learning is not necessarily a quiet endeavor. Learning can be complicated, messy, loud, boisterous, and exciting. Proposal deadline: April 30, 2012. Proposal status notification will take place by May 21, 2012. This special issue of the KM&EL international journal is dedicated to coverage of technology in higher education and human performance. Fierce competition, globalization, and a dynamic economy have forced organizations and individuals to search for new ways to strengthen their competitive advantages. In pursuance this, improvement of learning and human performance for sustainable development has been recognized as a key strategic issue. It becomes crucial to help learners in educational institutions and knowledge workers in various organizations to improve their self-directed and life-long learning, especially via using information and communication technologies in the digital economy. While implementing technology-enhanced learning, a variety of aspects have to be taken into account including learning and instructional theories, educational technology, curriculum development, knowledge management, performance evaluation, organizational culture, etc. This special issue aims to provide a forum for academics and practitioners to explore issues related to the design, evaluation and application of technologies in higher education and human performance development. We are interested in both theoretical and practical papers that aim to improve learning and human performance by applying the latest technological advances. We would like to stimulate interest in the issues across academia, practice, industry, research and policy, and therefore we welcome focused papers from all sectors. Electronic submission by email to Guest Editors is required (magwang@hku.hk or samchang@ntnu.edu.tw ). –All submissions for papers, reports, extended poster abstracts, community workshop and special sessions must do so through the DCMI Peer Review System at http://dcpapers.dublincore.org/index.php/pubs/. Author registration with the peer review system and instructions for the submission process appear under the “Information for Authors” link. –All submissions must be in English. –All submissions will be peer-reviewed by the International Program Committee. –Unless previously arranged, accepted papers, project reports and posters must be presented in Kuching by at least one of their authors. Submissions for Asynchronous Participation: With prior arrangement, a few exceptional papers, project reports and extended poster abstracts will be accepted for asynchronous presentation by their authors. Submissions accepted for asynchronous presentation must follow both the general author guidelines for submission as well as additional instructions located at http://purl.org/dcevents/dc-2012/remote. — Accepted papers, project reports and poster abstracts will be published in the permanent online conference proceedings and in DCMI Publications (http://dcpapers.dublincore.org/). — Special session and community workshop session abstracts will be published in the online conference proceedings. — Papers, research reports and poster abstracts must conform to the appropriate formatting template available through the DCMI Peer Review System. — Unless previously arranged, accepted papers, project reports and posters must be presented at The Hague by at least one of their authors. — Submitting authors in all categories must provide basic information regarding current professional positions and affiliations as a condition of acceptance and publication. FULL PAPERS (8-10 pages; Peer reviewed): Full papers either describe innovative work in detail or provide critical, well-referenced overviews of key developments or good practice in the areas outlined above. PROJECT REPORTS (4-5 pages; Peer reviewed): Project reports describe a specific model, application, or activity in a concise presentation. POSTERS (1-2 pages; Peer reviewed): Posters are for the presentation of projects or research under development or late-breaking results. Poster submission should consist of a one-two page extended abstract. One or more sessions will be scheduled for display and discussion of posters at the conference venue. Instructions on the preparation of the display poster can be found at http://dcevents.dublincore.org/index.php/IntConf/index/pages/view/posterAuthors-2012. DCMI COMMUNITY & TASK GROUP WORKSHOP SESSIONS: DCMI Community Workshop & Task Group Sessions are intended to: (1) advance the specific work of DCMI entities as defined at http://dublincore.org/groups/#communities; and (2) to set the work agenda for the Community or Task Group for the coming year. Note: Communities wanting to present a special session or a panel in the area of the Community’s interest should submit a proposal under Special & Panel Sessions above. In her autobiography, Mary Harris “Mother” Jones aptly described the lives of many other individuals and nations over the course of history: “I was born in revolution.” As the world events of spring 2011 unfolded in such diverse locations as the statehouse of Wisconsin and the streets of Egypt, historians tried to make sense of 21st century political, economic, social and religious upheaval in the context of the revolutionary changes of the past. In particular, one question that has arisen and that forms the focus of this conference is the ways in which gender informs, undermines, or bolsters revolutionary struggles. Perhaps she was born in revolution, but Mother Jones also made revolution her lifelong goal through teaching, labor organizing and activism. This conference will bring together academics, teachers, activists, archivists, students and the public to explore the idea of revolutionary change in history, especially as it concerns the question of gender. Honoring our conference location in Michigan, our 2012 theme highlights through one of our keynotes the role of revolutionaries in Michigan’s history with a screening of a new biographical film about Grace Lee Boggs, Detroit activist and feminist [http://americanrevolutionaryfilm.com/]. Dr. Donna-Dale Marcano, Associate Professor of Philosophy, Trinity College. Do you want to engage with your colleagues around the dynamic and challenging issues facing academic librarians today? Proposing a Workshop for ACRL 2013 gives you the opportunity for three hours of active and in-depth learning. Tag proposals with up to three of the 40 keywords available in the Call for Participation. The tagging system will draw connections among the conference content and help participants sort through the wide variety of dynamic interactions that define ACRL conferences. ACRL 2013 Conference will be held April 10-13, 2013, in Indianapolis. Proposals are due May 11, 2012, and can be submitted via the online form. Complete details about ACRL 2013, including the full call for participation, are available on the conference website. Questions about the Call for Participation or ACRL 2013 should be directed to Margot Conahan at (312) 280-2522 or mconahan@ala.org. Please submit abstracts and chapter proposals of up to 500 words and a short author’s statement to rswexelbaum [at] stcloudstate.edu by April 1, 2012. Chapter authors will receive notification of acceptance by June 1, 2012. Final manuscripts of between 3000 and 5000 words will be due September 1, 2012. Final edited chapter manuscripts will be due to Library Juice Press January 1, 2013. Please send all correspondence about chapter proposals to Rachel Wexelbaum at rswexelbaum@stcloudstate.edu.